When you’re in a relationship, there’s a tendency to fall into patterns and assume that things stay constant. But the reality is, relationships reflect a collection of human and situational variables that change over time and require continued love, care, and evaluation. 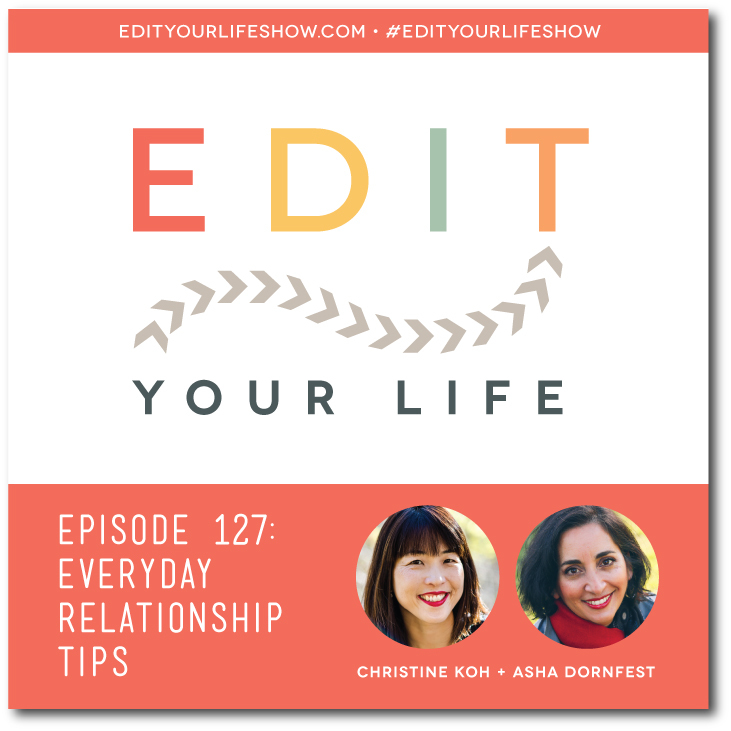 In Episode 127 of Edit Your Life, Christine and I share 8 tactics that will help you self-reflect and make everyday communication tweaks to navigate the changing variables of your relationship, and remember to have fun along the way.